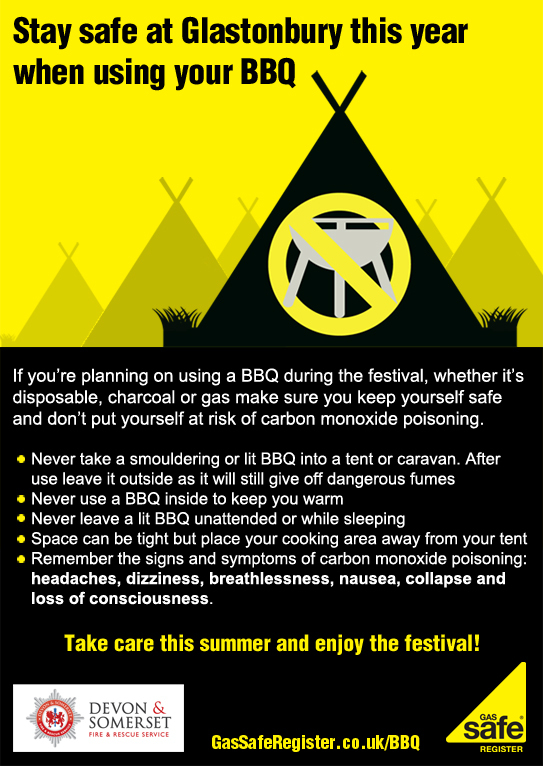 Last year in UK campsites, seven people died and 17 were injured from carbon monoxide poisoning caused by bringing BBQ’s inside tents and enclosed spaces. Carbon monoxide is a highly poisonous substance which is created when fossil fuels such as gas and solid fuels like charcoal fail to combust fully due to a lack of oxygen. The major danger is that you can’t see it, taste it or smell it but it can kill quickly with no warning. And for more info on BBQ safety, head to Gas Safe Register’s website.